Winning the Grammy is the dream of every artist and Nigerian musicians like Tekno are not left out of this hunt. Tekno is in the news yet again and this time he has promised Nigerians that he would bring home the Grammy. Twitter NG is the best place for an afternoon hangout, and yesterday, Tuesday, May 8, 2018 it came through again with singer Tekno getting a fair share of attention with his post on bringing home the Grammy. 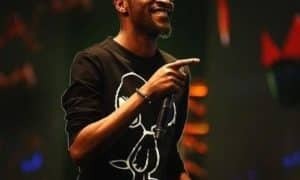 The singer shared a tweet saying, ”Be rest assured, am gonna win the Grammy”, which got considerable amount of responses and assertions from his fans. Well, join the queue Slim daddy, you are not the first who have made this vow. Here are 5 Nigerian artists who have promised to bring home the awards at one time or another. The braggadocious artist who is heralded as one of the leading lights of the Afro hip-hop genre in Nigeria, is one who is never afraid of dreaming too high. Surrounded by a number of successes and controversies, the singer in his 2003 single, Live in Yankee off the classic, Mr Lecturer album, sang, ”Enemies, e ma ku te ba gbo pe mo gba Grammy”, translated as ”Enemies will probably die when they hear he has bagged a Grammy”. The rapper has also reiterated this stance in several interviews, but as things are, this is one dream that may not be happening anytime soon. For Abolore Akande, aka 9ice, the Grammy was not just a dream, it was his reality. Off his breakthrough album ‘Gongo Aso’, is the hit single, Street Credibility, where the singer went ahead to put his credibility on the line by assuring his listeners, ”Don’t doubt me, I go bring home Grammy”. Well, if his recent album, G.O.A.T is to be used as a yardstick, light may not exactly be at the end of this tunnel just yet. Started out as the feisty, hungry emcee, who just wanted to rap. In 2010, the young artist released his single, which was dedicated to talking about the entire purpose of his taking to music. Titled Heading For A Grammy, Skales declared boldly, that he would be the first Nigerian to pull the stunt. “This is just a dream i am about to make real, I am going to get it, even if my song don’t appeal”. Eight years down the line, Skales is finally beginning to get recognition for his music, but not been able to pull the Grammy stunt yet. The Repete crooner is one of the critically acclaimed act on the scene. With singles like Confam, Repete and Pass you by, Black Magic has been able to carve his niche on the scene. Even though he didn’t state his dream on wax like the others, in a 2015 interview with The Net, BlackMagic was quoted as saying, ”Winning the Grammys is the ultimate thing and the ‘Magician’ has to be the first Nigerian artiste to win it, Grammy is the goal for me”. Clearly talented not just as artist, but also as a dancer and beatmaker. Tekno, revelling in the buzz of his new hit single, Jogodo has every right to aspire for more. The singer who has been spotted with Canadian hip-hop act, Drake, who himself has bagged 35 Grammy nominations, winning three, is set to release his debut album this year, which he hopes will help him achieve the feat that has been elusive to home grown Nigerian talents till date. The closest the country has come to a home grown Grammy award winner is the likes of Femi Kuti who has been nominated on four occasions, King Sunny Ade and Timaya, who got his nod for his feature on Jamaican group, Morgan Heritage’s 2017 album titled, Avrekedabra. Only time will tell, who becomes the first artist to bring the prestigious plaque home.